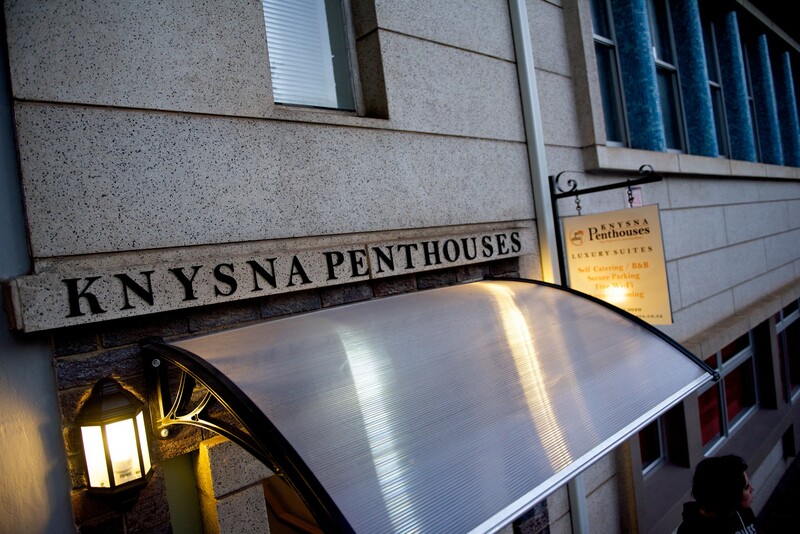 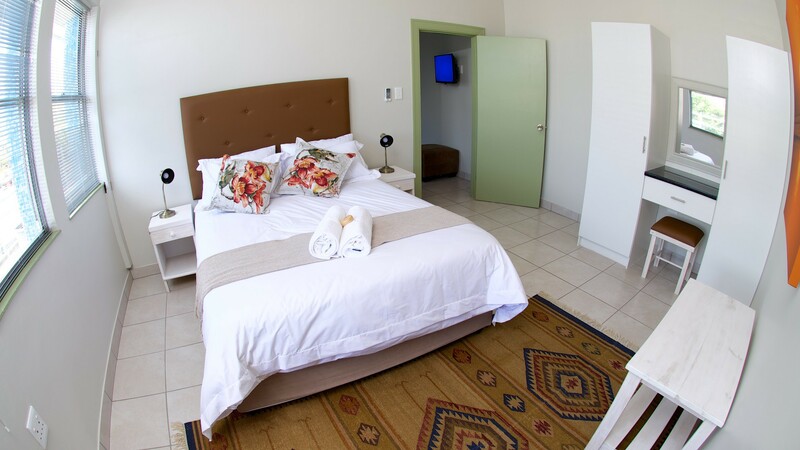 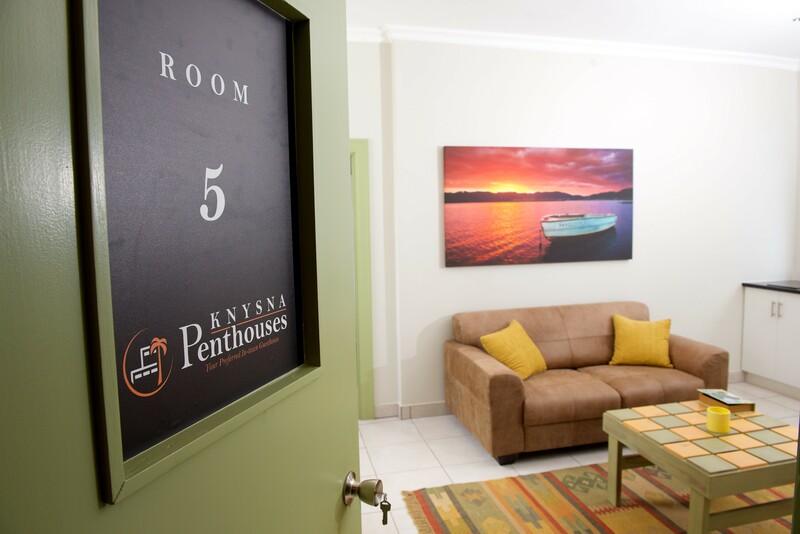 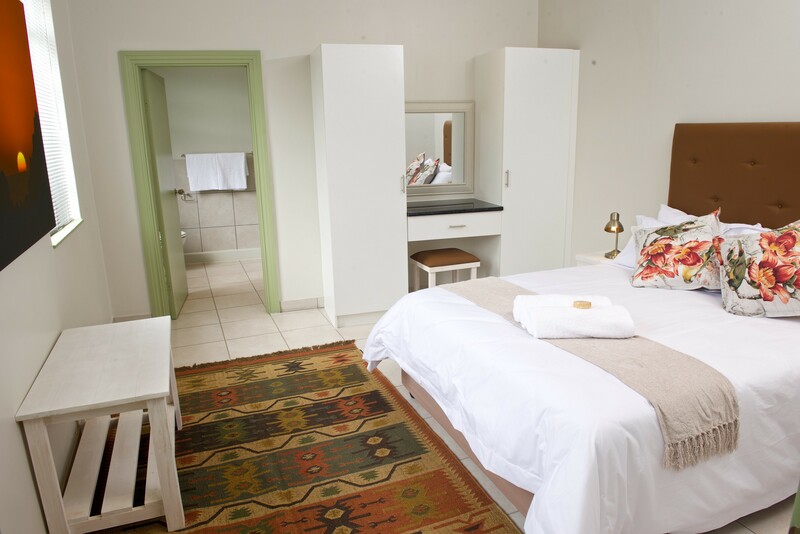 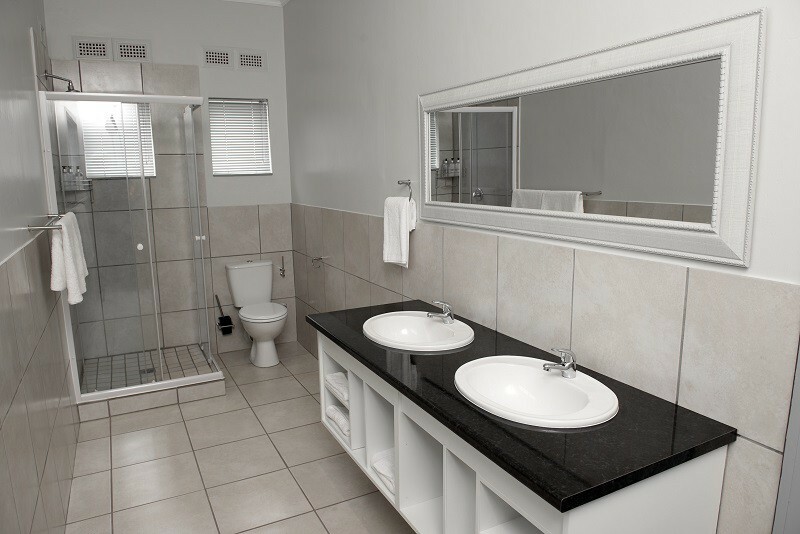 If your desire is to relax, unwind and enjoy the Knysna scenery, then Knysna Penthouses is the place to stay. 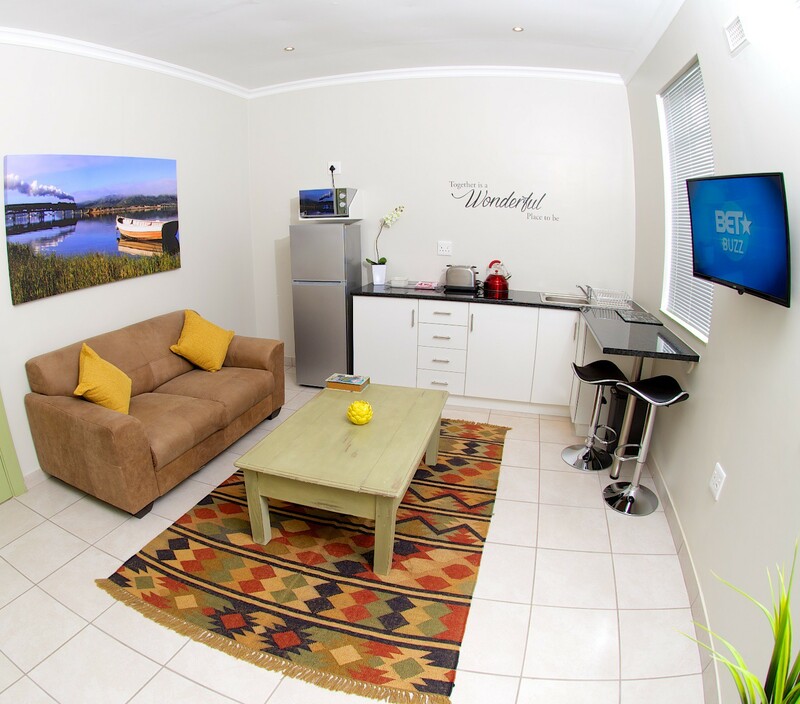 Situated in Knysna, on Memorial Square,the hub of the Knysna CBD, these 5 luxurious appointed Penthouses/Apartments is the perfect place to spend time in this tranquil town with its many attractions and escapes. 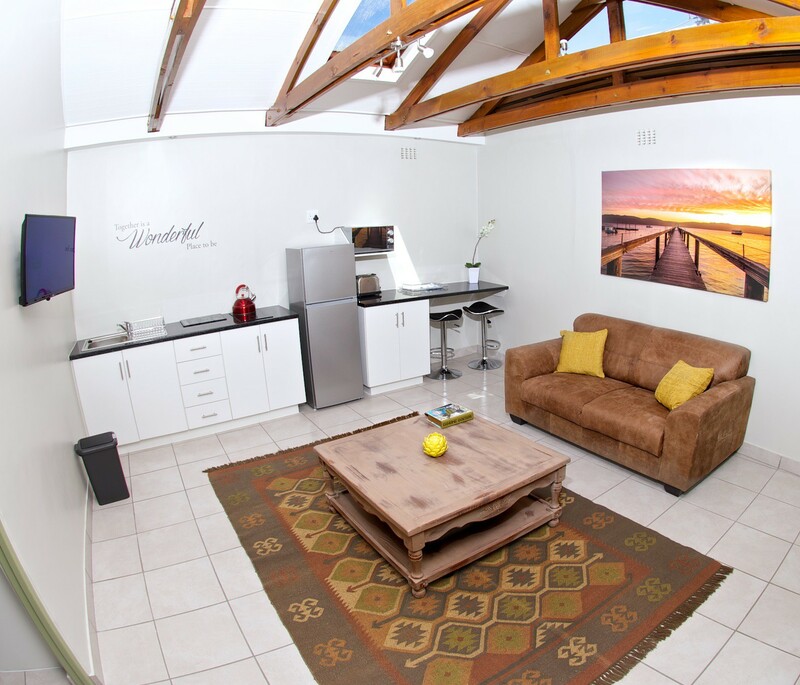 Located within a mere 5 min walking distance from the bustling Knysna Waterfront, and various other attractions, where better to put your feet up than in these new, modern and fully self-catering equipped penthouses. Set on Main Road, amongst some of Knysna’s many restaurants and social charms including Cafe le Boer(your breakfast venue), Bloo Bistro/World Café, Zanzibar Cocktail Lounge, Persello Pizzeria, Raasoie Ethnic Indian Cuisine, Royal Thai Kitchen, African Bean, The Olive Tree.The penthouses are also situated right opposite and in 1 min walking distance from Woodmill Lane Shopping centre, including an African arts and crafts on the Piazza, opposite Knysna Penthouses, Knysna Mall is also within 5 minutes walk on Main road and offers many brand name shops for shopping galore.